I’ve mentioned our…unique bathroom a few times here and there. But you haven’t gotten to see it yet. Because it’s been awful. The reactions–including ours the first time we saw the house–are always a blank stare in utter confusion, and then laughing. 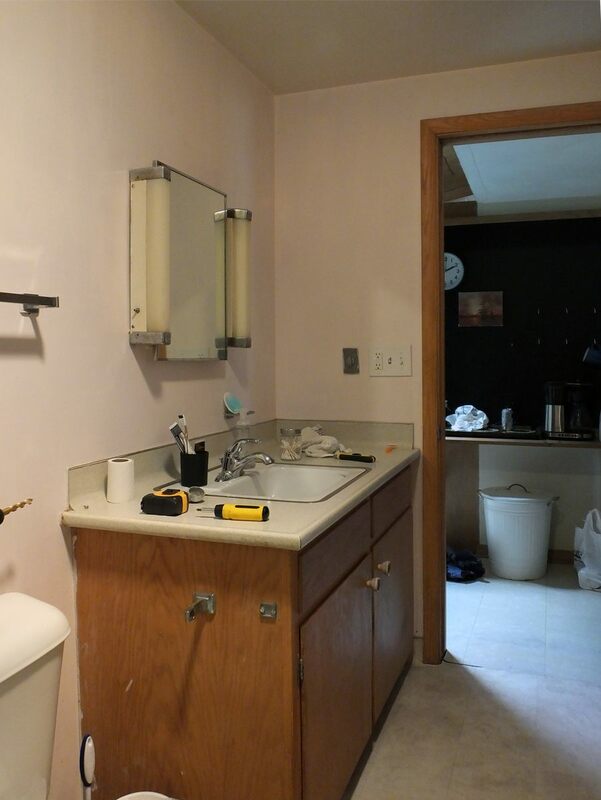 Yeah, that’s not a mirror behind the tub, that’s another toilet and sink. 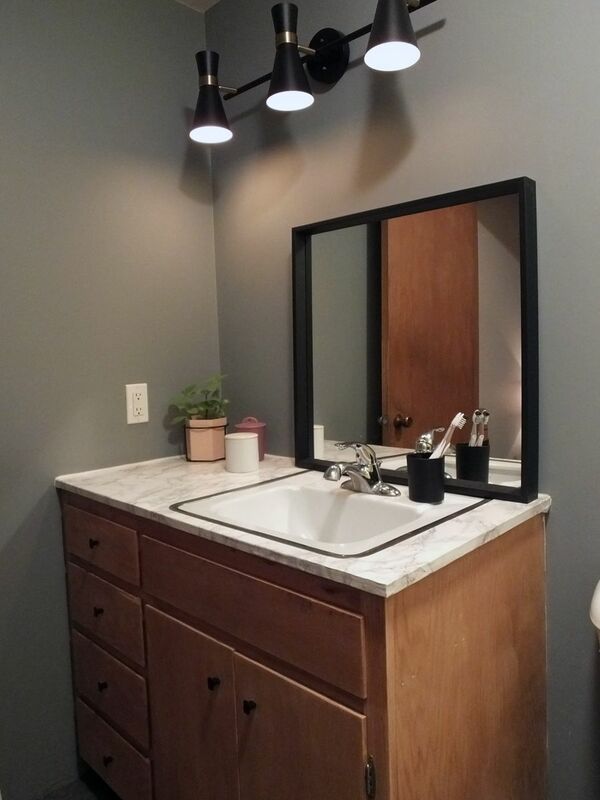 The toilet and sink on the other side of the tub make up the “Powder Room” that we made over last month for the $100 Room Challenge. Obviously, it looks a little bit different now. There was no way we wanted to have overnight guests over with that room (and we like to have guests often), so we put up a temporary wall between the tub and the second toilet shortly after moving in and we’ve been living with it that way since. (And hey, a surprise sneak peak of the messy coffee bar I haven’t shared yet!) As you can tell from the tools, this is when we started work on the room. It was all temporary though, because the other 2 walls around the tub were in bad shape and needed to be replaced, and we wanted to do something better than the plastic 1960s tiles that were in there. 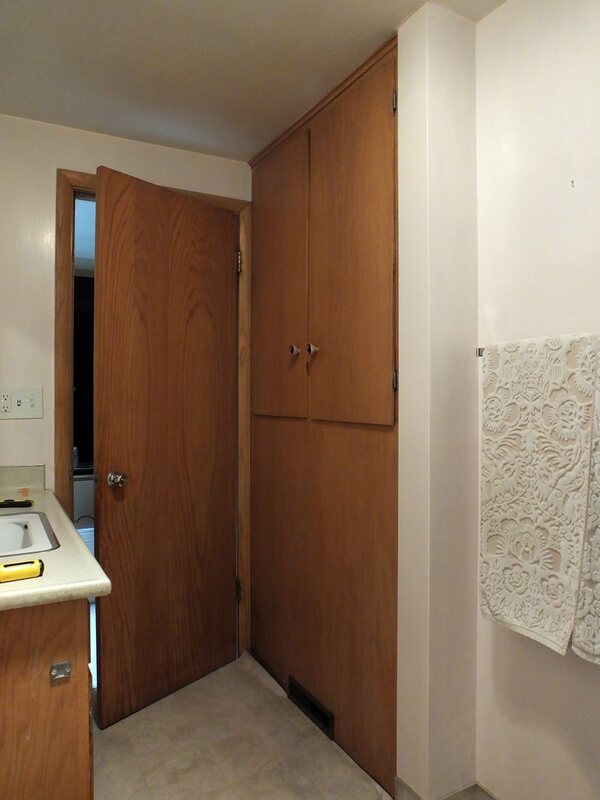 The bathroom also has a cabinet built in. The cabinet actually goes all the way through the wall, with doors in the hallway behind it too. It is nice, but it is so awkward-looking as it is. OH my gosh, I could not love this post more. 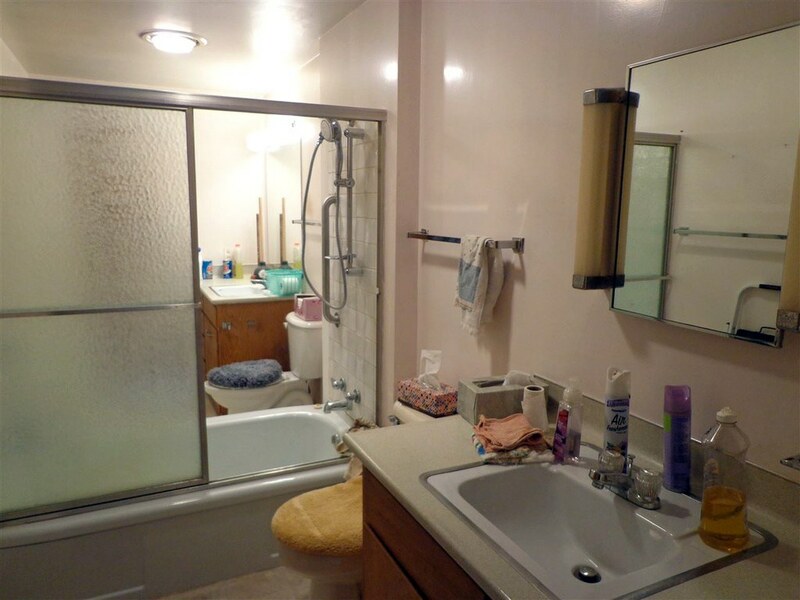 That bathroom layout is hilarious! You’ve got a diamond in the rough, and I believe in you. This bathroom is indeed weird. Many thanks for sharing this post.